I’ve heard about this series for years and I’ve always heard great things, but I’m always a little hesitant to read a book that ‘everybody’ is reading. So this summer we finally took the plunge and started the series and have to say ‘everybody’ was right. 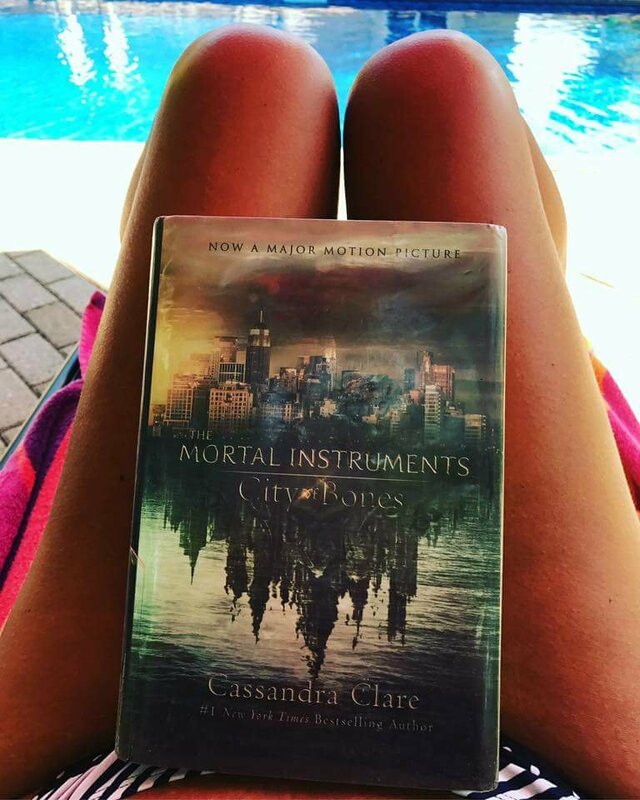 City of Bones is a really good fantasy book. It’s about a girl who lives a perfectly ‘normal’ life with her mom, until she starts seeing things and people no one else does. Then her mom is taken and she is thrown into a world she never knew existed, with people she doesn’t understand, on an adventure she never imagined. Cassandra Clare created a vivid world that you can easily lost in, with fun characters and many twists along the way. It was slightly on the predictable side but still had a couple twists I didn’t see coming. I would give City of Bones a 4 star rating for that great story, not a 5 only because of slight predictability. I’m really looking forward to reading the rest of the series.